Two race car drivers opened up about the dedication it takes to compete. Sophia Floersch's race car was blazing down the Macau Grand Prix track at 170 mph on Monday when she struck another race car, went airborne and smashed into the photographers' pit. It took doctors 11 hours to repair the 17-year-old Formula Three driver's fractured spine. The heart-stopping crash shocked racing fans across the globe. Yet Floersch was one of the lucky ones -- she dodged paralysis and will be back behind the wheel "after some time," Van Amersfoort Racing owner Frits van Amersfoort told the BBC. The implementation of new safety protocols in recent years has driven down the number of motorsports fatalities. But Floersch's perilous accident was a stark reminder of the risks to drivers competing in the fastest sport in the world -- where death and glory race neck-and-neck around every curve. The glamour of champagne showers after a podium win and lucrative paychecks come with the risk of losing it all with one wrong move. Wannabe race car drivers start as young as 8 years old, facing off against their school peers in go-karts. The talented will train for years, spending thousands of dollars to race and get noticed by wealthy teams for Formula One, NASCAR and IndyCar. Competing in the world's most prestigious races requires extraordinary levels of commitment and patience. Race car drivers Jack Hawksworth and Dominik Baumann talked to ABC News about the mind-boggling number of split-second decisions a driver makes in a race and the long, hard road each traveled to reach the upper ranks of their sport. 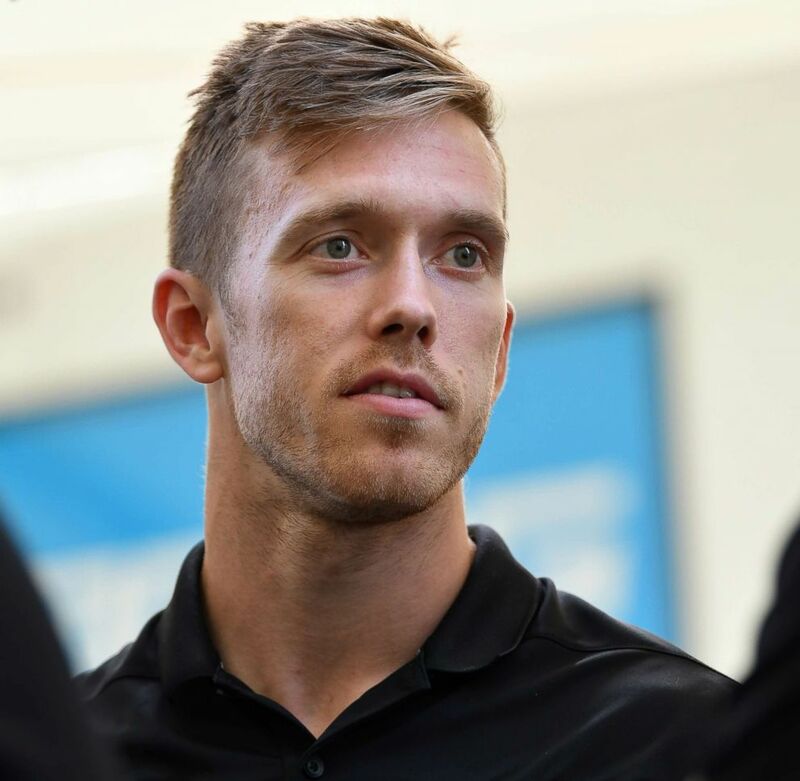 Hawksworth, 27, and Baumann, 25, recently finished the 2018 season with 3GT Racing, which partnered with luxury automaker Lexus in 2016 to race the Lexus RC F GT3 in the IMSA WeatherTech Sports Car Championship’s GTD class. 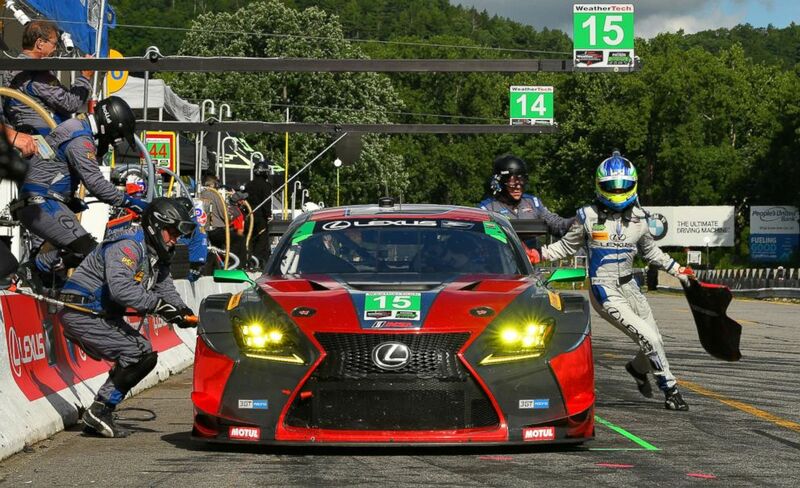 (Sideline Sports Photography/Lexus Racing) A pit stop at the Lime Rock Park race circuit in Connecticut. Hawksworth, a native of Bradford, England, started racing go-karts in 2004 at the age of 13. He spent three seasons racing in the IndyCar series before signing with 3GT Racing. Every week, he's on a plane, flying to the next track: Daytona. Watkins Glen, New York. Road Atlanta in Georgia. "It's your life. It's what I spend all my time doing," he said. "You want to have to do it." 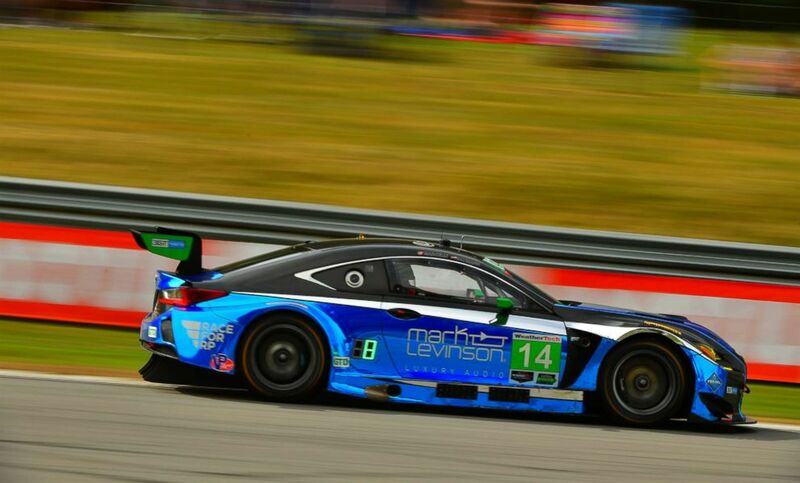 (Sideline Sports Photography/Lexus Racing) Jack Hawksworth of England was part of the 3GT Racing team, which competed in IMSA's WeatherTech SportsCar Championship. Routine tasks like shopping and laundry have become "boring," he admitted -- especially so after racing at speeds close to 240 mph. When he's behind the wheel, strapped in tight and laser focused on the track, Hawksworth is managing real-time data coming from the team's manager and engineers. "I am constantly bombarded with info," he said. "They can see a lot more of the race than I can. There's a very limited view in the car." (Morgan Korn/ABC News) The crew preps one of the cars before a race at Lime Rock Park in Lakeville, Conn., July 21, 2018. 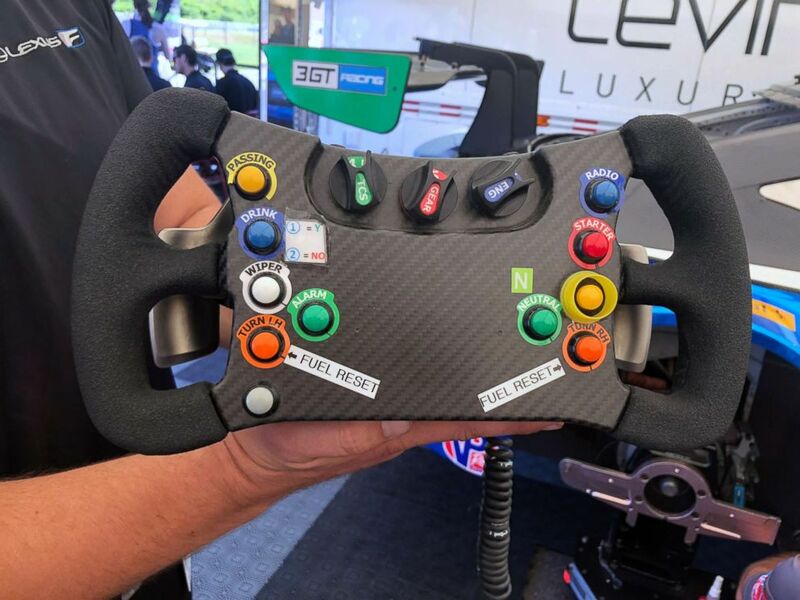 (Morgan Korn/ABC News) The steering wheel from the Lexus RC F GT3. The crew tells him when to pull over for a pit stop or to save fuel. He might be instructed to try a new anti-lock braking system. The gap between him and his nearest competitor is calculated and relayed instantly. "It can be very distracting," Hawksworth said. "I have to be able to use that information and still maintain a high level of performance." There can be zero distractions on the track for Baumann. "There's nothing going through my mind during the race," he said. "I am focusing on my turning and braking points." 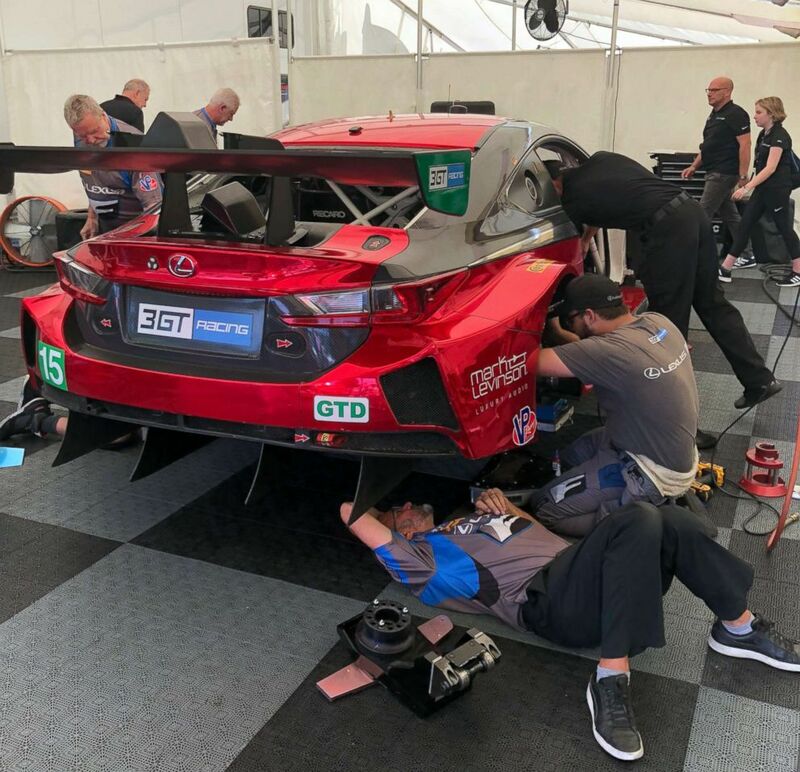 (Sideline Sports Photography/Lexus Racing) Dominik Baumann of Austria was part of the 3GT Racing team, which competed in IMSA's WeatherTech SportsCar Championship. 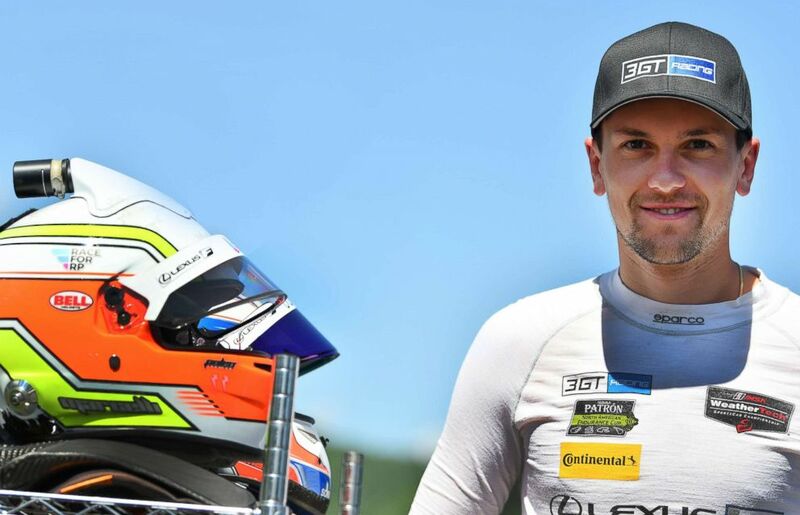 This year marks Baumann's first time competing in the U.S. His parents, who live in Austria, closely follow the team's demanding schedule, live-streaming the races at home. "My mom watches everything," he said with a laugh. "Even the practice sessions. They'll stay awake to watch." Baumann rarely sees his parents during the season, but he's had no regrets about joining the team. "It has always been a dream to race in the U.S.," he said. And it certainly hasn't been easy for him. Racetracks in the U.S. "have more natural elevation changes, more blind corners and the walls are really close to the tracks," he explained. "In Europe, the tracks are more flat." (Sideline Sports Photography/Lexus Racing) Dominik Baumann behind the wheel of the Lexus RC F GT3. With a different race every weekend, neither Baumann nor Hawksworth get extensive time to practice beforehand. Baumann spends his evenings learning a course from simulations. Hawksworth screens video of past races, taking notes on when to accelerate or how hard to press on the brake. But watching how other drivers have successfully tackled a difficult course only helps so much. "It's hard to actually replicate what they're doing," Hawksworth said. "You look at the data and try to dissect it so you can get faster and better." Baumann had one serious crash 15 years ago. He broke his collarbone when his go-kart flipped and slammed into a wall. Hawksworth has been involved in a number of crashes, though none were serious. For him, the qualifying laps and actual start of the race are the most intense. "I do a lot of mental preparation to get in the right mindset," he said. "Before every single race, I visualize all of the laps. I try to visualize all the different situations and potential things that can happen." Both drivers acknowledge the inherent risks and danger of the sport, yet neither could imagine doing anything else. "It's an emotional roller coaster," said Hawksworth. "One million things go into the performance of the driver. I love what I am doing."